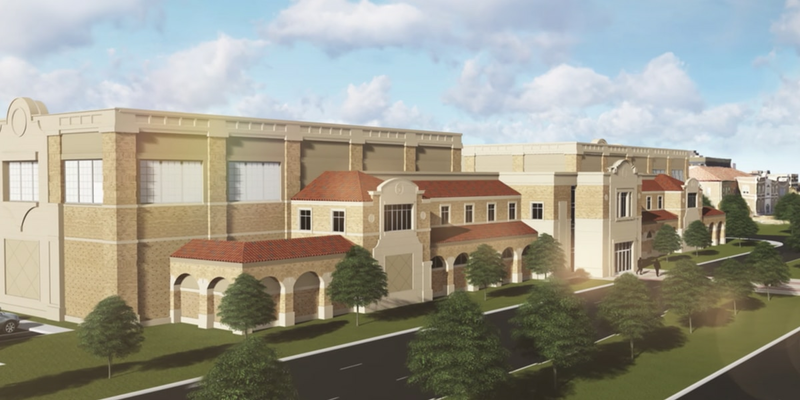 LUBBOCK, TX (KCBD) - The Texas Tech University System is accepting submissions for public art for the Dustin R. Womble Basketball Center, currently under construction west of the United Supermarkets Arena. Professional artists have until 3 p.m. March 20 to submit a proposal. Tech officials broke ground on the proposed $23 million facility in mid-January and construction is expected to be complete by August of 2020. The budget for the art is set at $281,000, which is all inclusive, bearing in mind artists and consultants fees. All proposals should be submitted online at publicartist.org. Artists are asked to submit their résumés, digital images of past works, a 500-word artist statement, a 500-word letter of intent, three references, a cover sheet and an optional concept sketch. Detailed information and application links can be found on the Texas Comptroller of Public Accounts website, here.